Check out my Leap pad 3 Review posts! My Daughter just turned four a couple of days ago and for her birthday present she got a Leap pad 3. Every time the ads for the Leap pad 3 ran on telly we always seemed to have a ''bit of conversation'' on why she just had to own one and perhaps as a bit of reminder, she would nicely ask if she could play a couple of games on my phone (she loves the block breaker game, really simple if you ask me. Just tap two blocks of same color till the board is cleared of blocks) but getting her to give the phone back always happened to be a challenge. She practically owned my phone and gave it back when she wished. She walked up to me one day,fiddling with my phone and told me she needed me to help her get something that seemed to be obstructing her game off the screen, one look at it and I knew in no time I would be raking in steep phone bills, I am not sure how she managed to navigate the game but she was just about to make a staggering item purchase from a popular celeb lifestyle game! 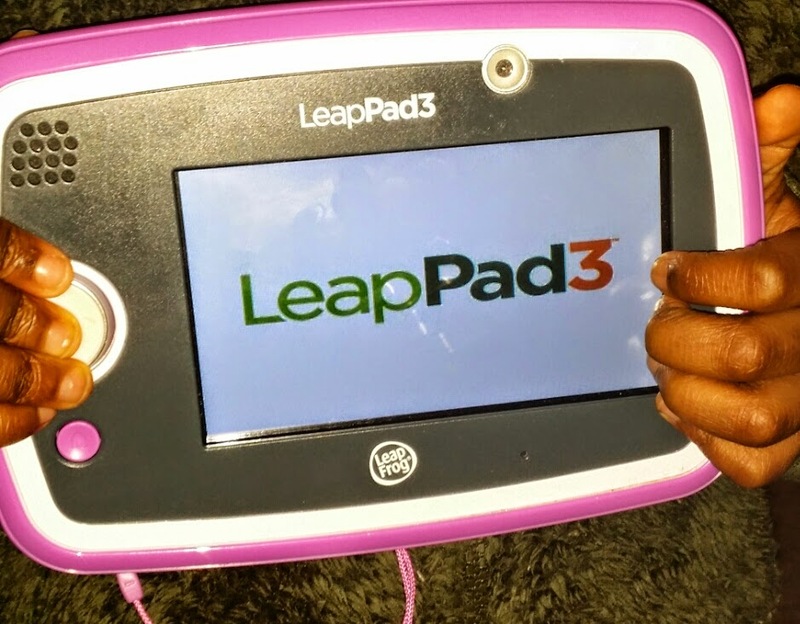 So it was a pleasant surprise and a great relief if you ask me when she unwrapped her birthday gift and found out it was the ''Leap-Tastic'' LeapPad 3. Now here's what I think about this new addition to my daughter's array of toys. Its has proven to be a tablet that is fit for purpose. I mean apart from the fact that it has a long preserving battery life,its a device that is built to withstand whatever ''life'' (and by that you sure know what i mean) throws at it. Its sturdily built and not heavy for little hands. As you will expect with kids, the device has suffered quite a number of ''smashes'' and ''falls'' putting its durability to considerable test but continues to function excellently well. The Leap Pad is an excellent opportunity for kids to learn in a fun way. Aimed at a target audience of children between the ages of 3-9, it is packed full of amazing apps which you will find in the device's app center guaranteed to keep your child occupied and develop their learning skills in a fun way. You can sort content based on what is relevant to your child's age, skills or category before purchase. The only snag i seem to have with this is that some of the apps are way too pricey! There are also a couple of pre-loaded apps which your child will enjoy but it will only be a matter of time before your child begins to explore and find even more fun apps waiting to be purchased. Good side is ,thanks to a very fantastic feature which I will tell you about very soon, kids do not get to make any purchase on their own, so you can be rest assured you will not be getting any surprise bills in the post. Another cool feature, which for me I think is the best feature so far is that it is WiFi enabled and comes with the easiest and safest internet navigation and access ever. So you no longer have to worry that your child may be exposed to inappropriate content. Also Just in case you are wondering, you definitely cannot connect to sites like Facebook. Access to YouTube for instance is very limited to kids focused content in quite a number of categories which even includes a few DIY videos (like how to make a stuffed curious George toy), every activity is an opportunity to learn something new. I need to warn you, the Leap pad 3 is guaranteed to keep your child occupied for Hours!! There is so much on there, I mean did I even mention that it also comes with a camera (so kids can take fantastic pictures of themselves,friends and family), voice recorder and a couple of other fantastic resources? Your young one will be happy to explore on their own with almost no intervention from you! Whilst creating this wonderful device for kids, Leapfrog also had parents in mind. The Leap frog 3 comes with parental control through which you can manage your child's profile, switch off the WiFi if you wish and as they grow older adjust content to suit their age. Setting up the device is super easy with on screen instructions to guide you through the process plus you get one free age-specific app to get your kid started. How generous s that. At the moment, its just what I would expect a child of my daughter's age to be occupied with. I am not exactly sure I will be able to say the same in a few years time as I anticipate she will outgrow this tablet and expect something a bit more beyond basic but until then it remains a win-win situation for everyone including my poor old phone! For what its worth, I would definitely recommend this device.